Jewish date: 19 ’Adhar Sheni 5771 (Parashath Shemini). Today’s holidays: Great Lent (Christianity), Lent (Christianity), Annunciation of the Theotokos (Christianity), Feast Day of St. Brian Michael Bendis (Church of the SubGenius). I really need to post more often. There is a lot going on relevant to religion, and I cannot cover it all. This includes the Islamist terrorist attacks Israel has experienced recently, which really add nothing new to anything I have already written or reported before other than to show that too many Muslims still have no interest in peace with Israel. It cannot be stated enough that the terrorists themselves are a bunch of pathetic losers who go for easy targets, such as sleeping babies, rather than tackling heavily armed military targets like real men and women. (The clowns come up due to the custom of dressing up in costumes on Purim, and clowns are a common costume choice.) 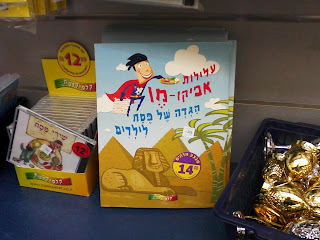 However, I found little evidence of stores trying to get into the Purim spirit. On the left side of the lower picture, one may notice a drug store, and in there I met two employees in costume, one in a witch hat and the other wearing a cape. That was it. So far Israel is in the lead in avoiding corrupting holidays into commercial monstrosities. The celebration of Purim itself was fairly standard, though with some twists not necessarily experienced in the United States. There were the readings of the Book of Esther (Meghillah) in synagogue; the noise-making when the name of Haman was read was regulated by red and green light bulbs instead of the manual signs I have seen before. Costumes, as expected, were more common among children than adults. (Sorry. No pictures. I normally try to avoid photographing people.) A beggar actually showed up in synagogue, making it very convenient to give the required gifts to the destitute (mattanoth la’evyonim). I received a number of gifts of food (mishloaḥ manoth) myself, and the contents, as in the United States, tended heavily towards baked goods and junk food, though I did end up with some alcoholic beverages. (My personal practice is to give out produce, mostly to whomever is around in synagogue or even on the streets. Many people find this confusing.) The festive meal (se‘udhah) I had with a friend and company in a Ḥaredhi town. The inhabitants widely broke the stereotype of stodginess, with a lot wearing costumes (including a number of the adults), including one confusing, shiny costume which included a sign saying something in Hebrew to the tune of “Don’t ask me what I am. I don’t know.” A lot of little girls for some reason were dressed as brides. 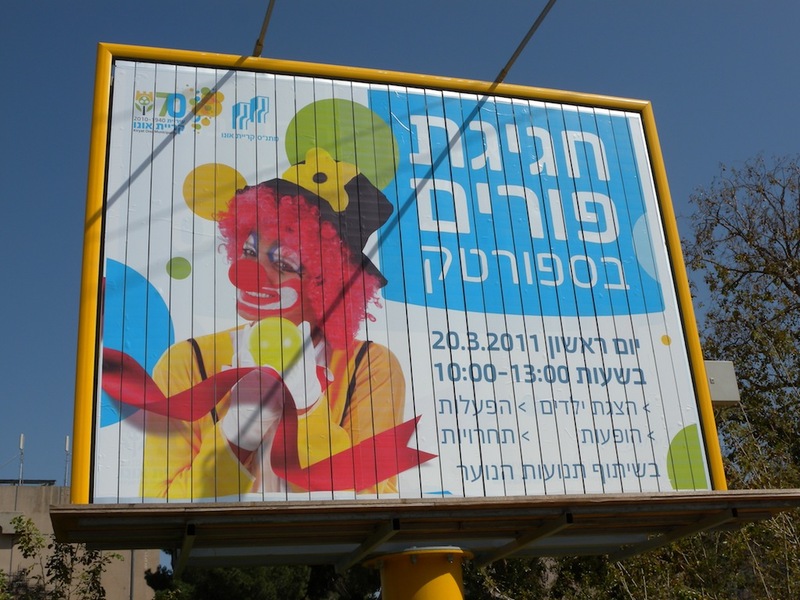 Now, there is an old and controversial tradition of getting drunk on Purim, and at the se‘udhah a number of people who had had too much to drink wandered by. I have seen people not used to drinking getting drunk on Purim and acting strangely before, but this was the first time one of them tried collecting money for a yeshivah. Fortunately, none of these people who were having trouble holding their alcohol did anything worse than get happy and uncoordinated. And, for the guy in the back row asking if I got intoxicated at the se‘udhah, the answer is “no”. 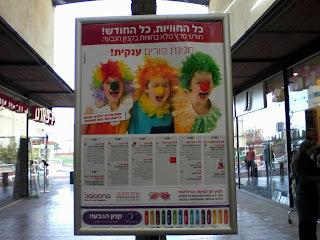 I prefer to do my drinking on Purim early and to try to take a nap. The title translates as “The Story of ’Afiqo-Man: A Pesaḥ Haggadhah for Children”. This would be a good time to groan at the pun.